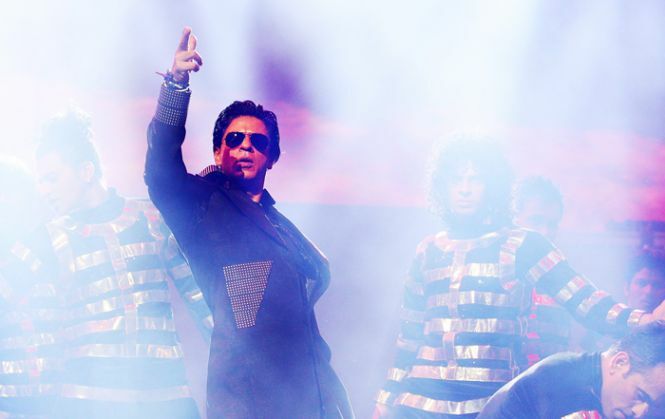 Shah Rukh Khan is 50! Still wildly theatrical. Kitsch. Unabashed. Riding the crests of Hindi cinema. His charm, wit, charisma unmatched. Here are some unusual facts, thoughts and views about him that you may not know. Shah Rukh Khan has inherited his father's idealism. An MA, LLB, who ran a little shop. "My father was a freedom fighter but he didn't use any connections to become successful. He was a lawyer, but didn't practice because he thought it was dishonest." He call s him the "most successful failure in the world". Shah Rukh's mother was more material than his father because she had to bring up her two children after his death.
" She needed to become more material. Make more money. After his death, she made sure she got an oil agency. She died trying to bring us up. She died in very difficult circumstances." She wouldn't have died if she hadn't worked so hard, says the megastar. His sister Lala Rukh suffered a lot after their parents death. "Lala. She's much better now, but she'll never be fully well. Beautiful girl - physically and mentally, again an MA, LLB . But no good. After my father died, she got very shocked." It took him about four or five years to find help. "Medically termed, she had a potassium imbalance. Physically, she started going very wrong. By the time she came here to Bombay, she was really unwell." He perform s at weddings, but it is very difficult to afford him! Something he takes pride in. "You have to do it like a show, it has to be in an area where nobody drinks and eats, it will start at 9 pm and end at 11.30 pm, the stage will be 30 by 40 feet, we will make our entries, we will not chat with anyone, we will not eat your food, we will not take pictures with your daughter or daughter-in-law, unless we personally want to." He is not an atheist. But a believer in God. "I see what's happening to Islam around the world, I think it's important that even without full knowledge of Islam, I need to be very clearly standing for the goodness of Islam." AR Rahman sent him a message once asking if he was an ambassador for Islam. His reply: "I think I truly am. I follow the tenets of Islam - peace, goodness, kindness to mankind. And I'm a normal guy. I think that is what Islam tells you to be." There are actions by people who think they are Islamic, or are Islamic, that are very disturbing to him. "I stand for what a modern Muslim should be. I am married to a Hindu, my children are being brought up with both religions, I read namaz when I feel like." "But I would not like to believe in four marriages even if my religion allows it. Lots of other things too have lost relevance, but that doesn't mean I'm questioning the Quran." He would like people to know that the actual meaning of jehad is to overcome one's own violence and weakness.
" If need be, overcome it violently." Age has changed him a bit perhaps.
" I've lost some innocence; I think I've lost a lot of impatience. People who knew me for long say I've lost some of my edge." But deep down, there's no radical change. We can see that Shah Rukh!